Market forces are bringing about further course closings…and we all understand the devastating effects this brings to local communities. Most country club operators understand the urgency of efficiency and winning market share, but for one reason or another just haven’t been able to execute as well as intended. I’m volunteering to moderate fruitful discussion for the benefit of golf, bringing 45+ years of country club ownership and management experience to the table. I’ll be presenting on various topics, sharing experiences and solutions, opening the floor to questions, and hopefully arming your club with tactics that you can deploy immediately. Let us know about the specific challenges your facility is facing, or which topics stand to deliver value and we’ll add it into our agenda. Club owners, general managers & Board Members only. Where are highest priority areas that will produce most immediate impact on the bottom line without sacrificing customer experience? The most powerful element in delivering a fun and productive company culture is establishing a core set of company beliefs. Don’t confuse beliefs with tactics. John A. Brown Jr. John Brown, Founder and Principal of KPI Golf Management is a PGA Master Professional, one of only 352 out of 29,000 PGA Professionals and Apprentices in the USA. Mr. Brown was also the Founder and CEO of Brown Golf Management. 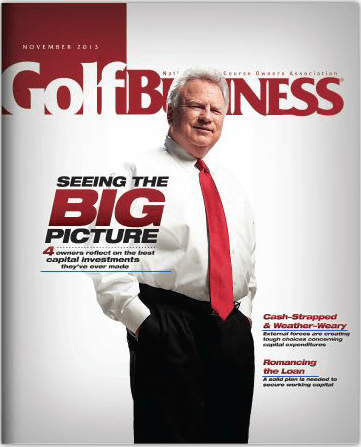 Brown Golf became one of the fastest growing Golf Management Companies under his leadership and has been on Golf Inc Magazine’s annual list of Top 25 Management Companies in the world for several years. The Company grew to 30 courses in 7 States in 6 ½ years. John, sold his stake in the Company in 2017. Prior to starting Brown Golf, John was a long time Executive with Troon Golf, who at the time was the largest Golf Management Company in the world. Troon Managed Clubs, under Mr. Brown’s leadership, have won the prestigious “Best of Troon Award” two different times. 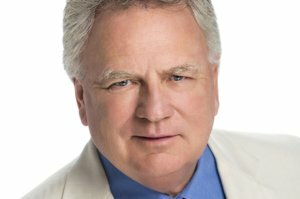 Prior to joining Troon Golf Mr Brown was a General Manager and Director of Golf in the private sector of the industry serving primarily Board run exclusive Country Clubs in the Northeast. John, has been a speaker/presenter numerous times at the Golf Inc World Golf Summit. During his years in the Northeast he was an outstanding golf instructor and advocate for junior golf. He won the Central New York PGA Junior Golf Promoter of the Year award, and was a top 3 finalist for the National PGA Private Club Merchandiser of the Year, having won the award numerous times on the local Chapter level. John Brown, was a two sport Athlete in College (football and golf) and has a Bachelor of Science Degree in Recreation Management and Administration from the College of New Jersey. be sure that your club is represented.